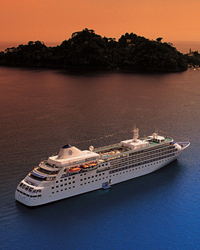 Silversea offer a fleet of 6* luxury small ships, on an all inclusive basis. The luxury cruise line’s programmes are designed for adults but on selected departures, a small number of children may be accommodated. All accommodations are suites – over 85% with private verandas - and regardless of the ship or suite category, all guests will be pampered with the personalised services of an attentive butler. 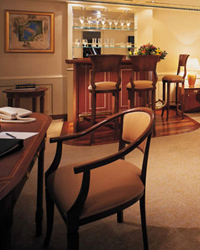 Silversea offer a luxurious service and your every need is taken care of. Formal and informal attire is required on designated evenings and this makes Silversea ships ideal for well-travelled customers looking for the traditional, luxury cruise experience. Global destinations are available, with the majority being fly-cruises. The currency on board is US$ and gratuities are already included in the cruise price so there are no hidden extras when you get on board. The Mediterranean: Caribbean; Panama Canal; South America; New England/Canada; The South Pacific; Far East; Hawaii; Northern Europe; Africa; Australia; Transatlantic; Arctic; Antarctica & Galapagos Islands.